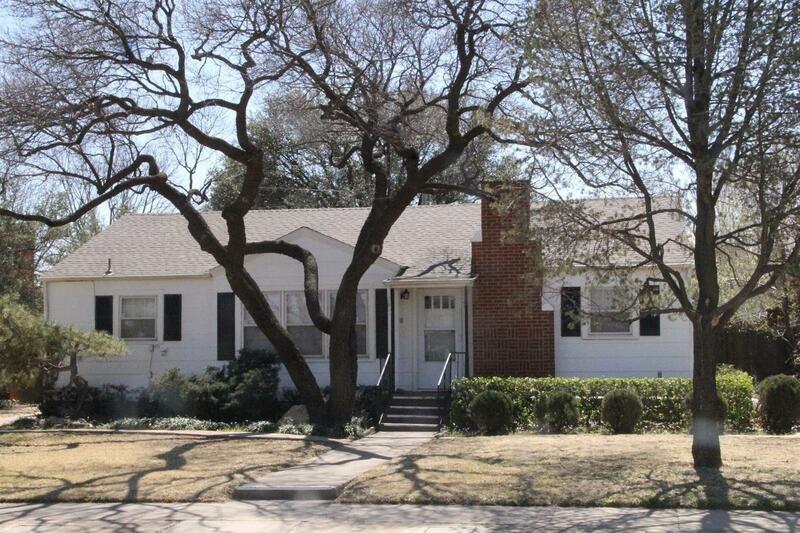 Absolutely charming, fantastic, vintage home with amazing curb appeal and some of Lubbock's most beautiful oak trees! Beautifully refinished hardwood floors, entire interior has fresh, new paint, & kitchen has NEW stainless steel stove, refrigerator, microwave & dishwasher. Some of the staging furniture & decor is negotiable. All three bedrooms are isolated. Very convenient to TTU, Hospital District, & downtown. Do not miss the 277 sf sunroom that is perfect for relaxation or a wonderful game of ping pong! Makes a terrific extra space to enjoy the mature, well landscaped yard! This home has been well maintained & loved since 1947! Only two families have ever owned this home! Perfect for students, faculty or anyone that needs 1853 sf plus 277 sf sunroom. Hurry to be the next owner of this wonderful home!!!!!! Misc. Interior Cmts: Good storage spaces! Parking Cmts: Garage only a few steps from sunroom! Roof Cmts: Roof new in 8/13 & in good condition!